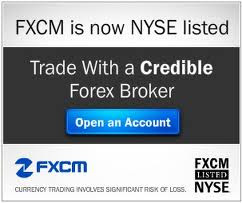 11 May 2010: FxPro Financial Services Ltd (FxPro), a leading global retail broker in FX and CFDs today announces that it is launching a free global education master class series with Bloomberg Television network to equip retail FX traders with the knowledge and information they need to trade FX safely and effectively. For the first time, the Bloomberg Television network in Europe, the Middle East, Asia-Pacific and Latin America will be airing the FX master class series on its television feeds to educate investors on the global FX market. The 12 video series will offer the retail investor advice, independent information supplied by Bloomberg, data and tips on trading strategies to help traders leverage the benefits of FX within their investment portfolio. Running for a year, the 12 videos will be rotated four times daily on a variety of topics covering risk appetite, FX volatility, psychology of trading and stop losses. Viewers will also be able to hear the thoughts of Bloomberg FX specialists, reporters and respected institutional financial professionals who will be giving their insight into the latest developments and trends in the global money markets and offer investors an understanding of how professional FX traders think and operate. “We're proud that FxPro will be sponsoring our educational content on Bloomberg Television. As the leading business channel in EMEA, we've built our reputation on providing our audience with authoritative information and insight and are delighted to extend this by offering our viewers in-depth educational content,” said Trevor Fellows, head of advertising sales for Bloomberg Multimedia.